Back in late November, Ethereum World News notified its readers of plans by the Commons Foundation to build the largest Bitcoin (BTC) mining farm in the world. Known as ‘the Golden Goose’ initiative, the project is meant to expand cryptocurrency and blockchain innovation in Spanish-speaking countries with its first project in Paraguay. Paraguay guaranteed a 15 year stable electricity price for the mining operations. The contract signed also provided approximately 50,000 square meters for five mining centers near Itaipu Hydroelectric Power Plant, the world’s second largest clean energy plant after the Three Gorges Dam in China. It is with the above background that Bitfury and the Commons Foundation have partnered to launch BTC mining Operations as part of the ‘the Golden Goose’ project. The two firms will build a series of mining operation sites using Bitfury’s BlockBox AC mobile (containerized) data-centers. BlockBox AC mobile units includes 176 air-cooled mining servers that deliver a reported total hashrate of 14 PH/s. 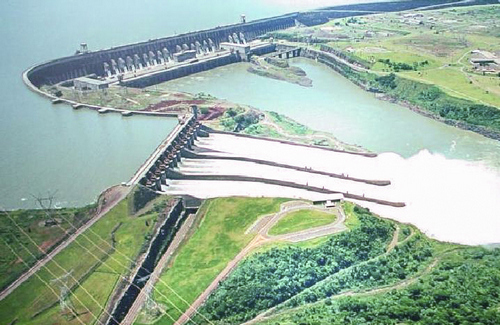 The sites will be powered by clean hydroelectric energy from Itaipu dam and Yacyretá dam. Paraguay currently only uses 20% of the electricity it produces. The rest is exported to the neighboring countries of Argentina and Brazil. Valery Vavilov, CEO of Bitfury, explained how the partnership would introduce BTC mining to Paraguay. We are committed to increasing the security of the Bitcoin Blockchain, both through innovation in our hardware portfolio and expansion of its network throughout the world. Bitfury has consistently prioritized the global decentralization of the Bitcoin Blockchain and we look forward to helping our partners introduce this industry to Paraguay. Commons foundation also plans to launch a global cryptocurrency exchange in late 2019. The exchange is also meant to bring further innovation to Paraguay and help build the blockchain ecosystem in Latin America. The crypto trading platform will conduct KYC procedures of its clients via Bitfury’s Crystal analytics platform. 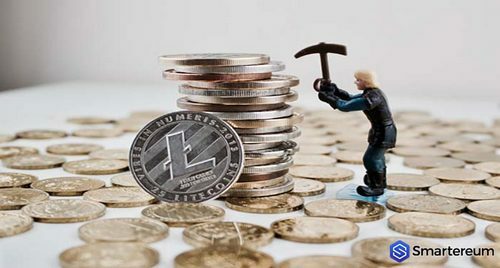 What are your thoughts on Bitfury and the Commons Foundation partnering to launch Bitcoin (BTC) mining operations in Paraguay? Does this prove that interest in BTC mining has not decreased with the bear market? Please let us know in the comment section below. Next Article Is Jack Dorsey Drumming Up Support, for Bitcoin Because Lightning Network is Square’s End Game Move?